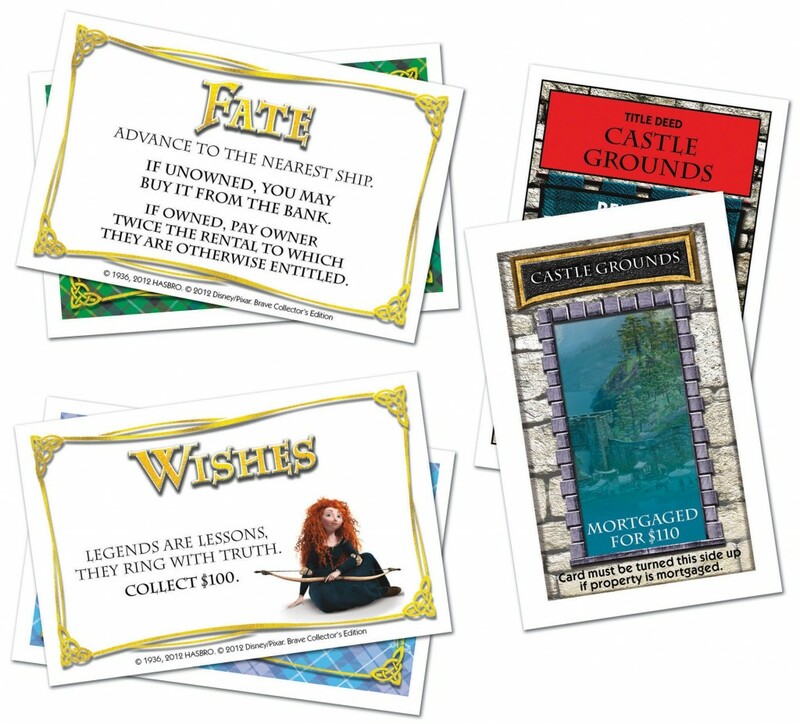 Playing board games is a tradition in many families, bringing people of all ages together to play on level ground. 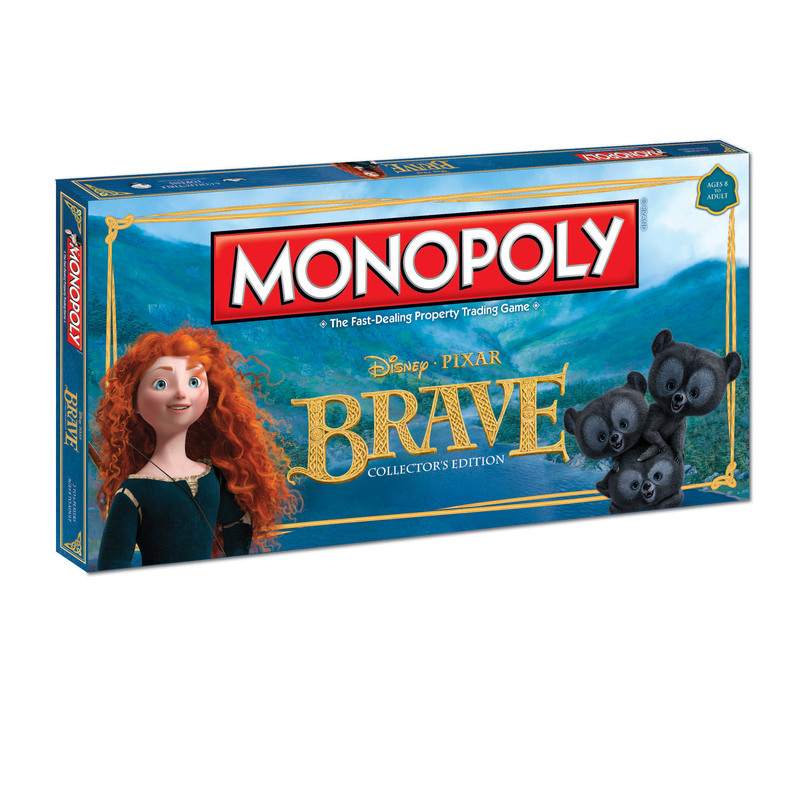 Monopoly is easily one of the most popular examples, with the game spawning numerous editions throughout the world. 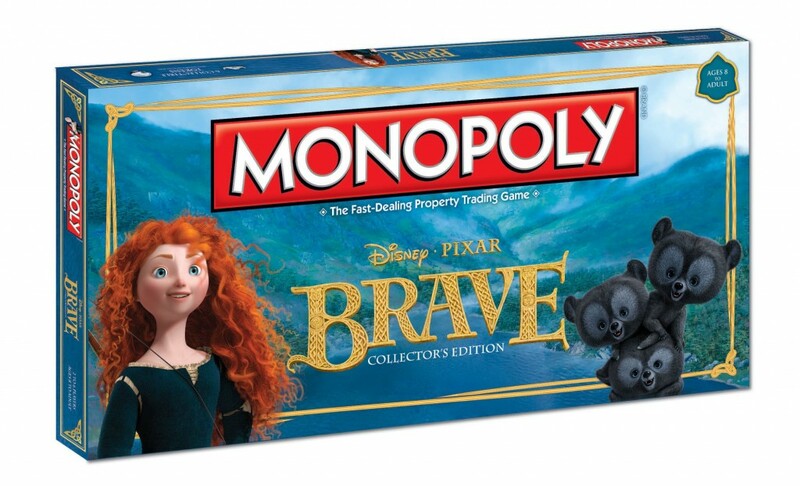 To add to that, Disney/Pixar and USAopoly have collaborated to release Monopoly: Brave Collector’s Edition, inspired by the latest animated film from Pixar. 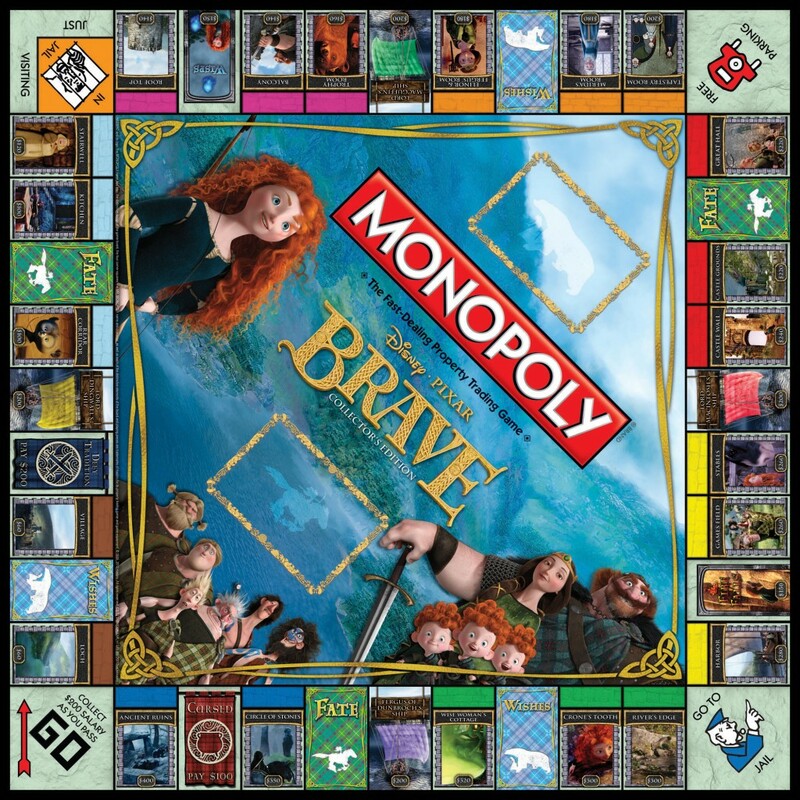 After the break, check out the game board, the tokens, and more! 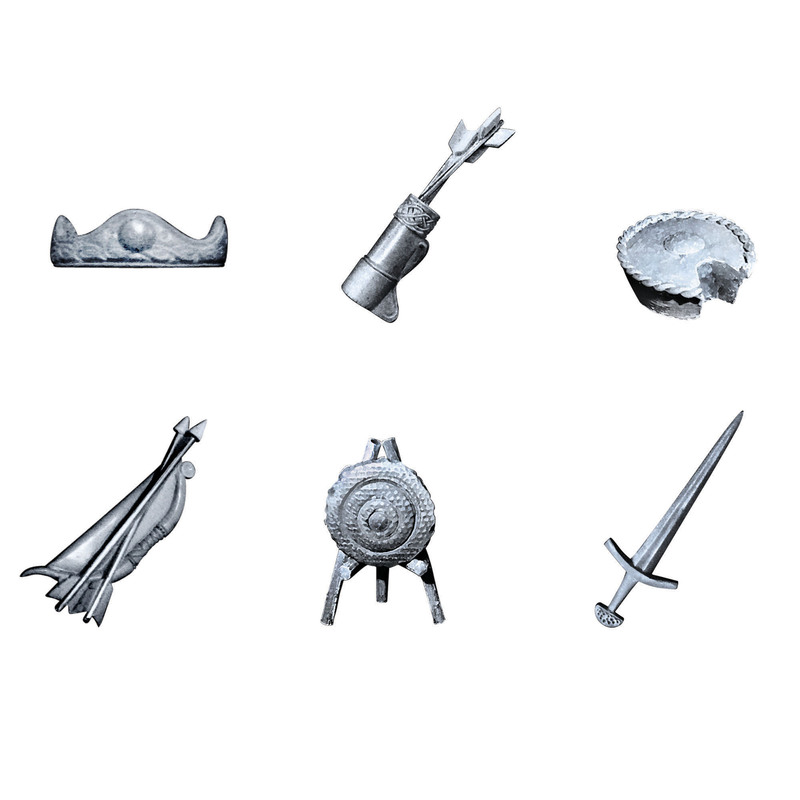 I happen to be a big fan of Monopoly, with the game tokens being one of my favorite aspects. 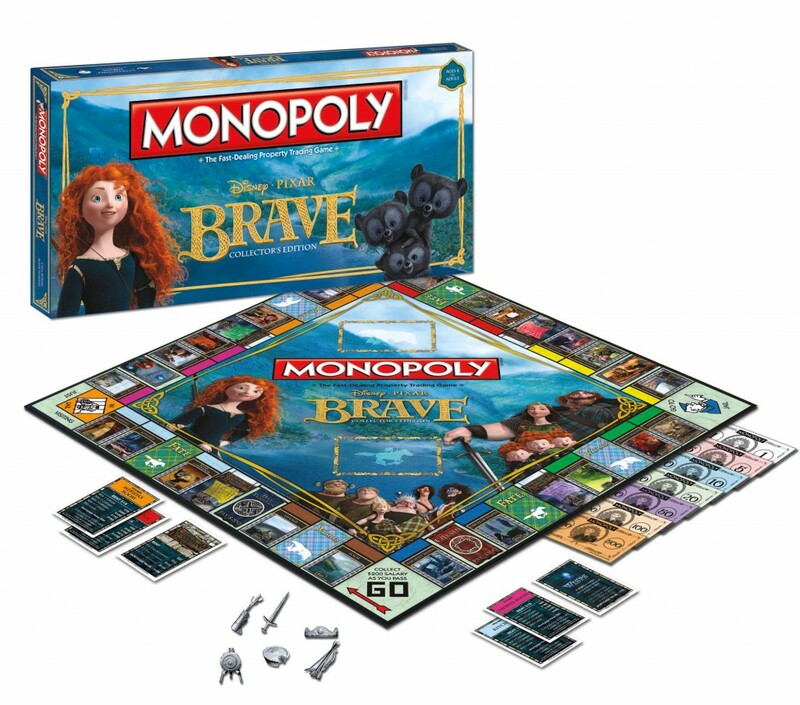 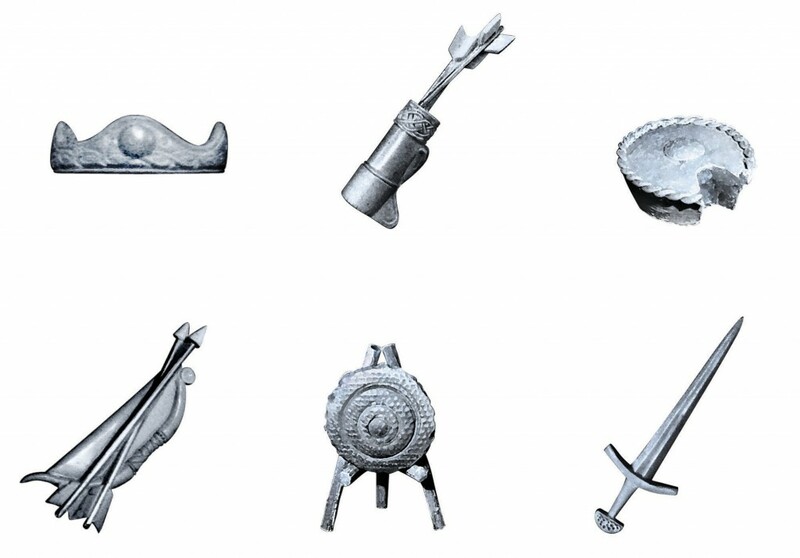 In the Brave version of the game, the tokens are represented by a crown, bow, target, quiver, cake, and sword. 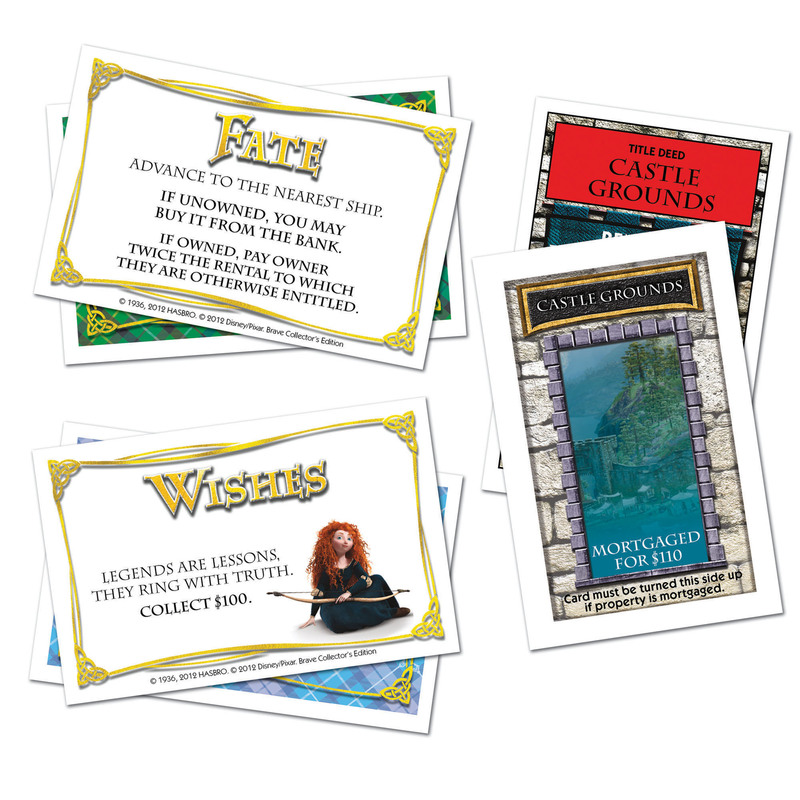 USAopoly will be hosting a giveaway of the game on its Facebook page tomorrow.